Procedural sedation during diagnostic or therapeutic procedures is currently widely used by clinicians across a broad range of specialties. However, procedural sedation is a poorly controlled practice in many countries, often performed in potentially unsafe environments. In 2009, the Legislation Committee of the Korean Society of Anesthesiologists, based on expert consultation referrals provided by police departments, civil courts, and criminal courts, initiated the construction of database to compile all anesthesia-related adverse events. Using this database (July 2009 to April 2012), we have compared causative mechanisms and injury patterns in procedural sedation (Sedation) cases (N = 25) with those in general anesthesia (GA) cases (N = 29). The severity of injury in Sedation cases was similar to that in GA cases, with death occurring in 72.0 % of cases. Hypoxia secondary to airway obstruction or respiratory depression was the most common specific mechanism of Sedation-related injuries (64.0 %). In-depth analysis of pre-procedural evaluation and intraoperative monitoring revealed a common lack of vigilance in the Sedation cases, and most injuries were judged as preventable with better monitoring. Non-anesthesiologist administration of propofol (NAAP) was performed in the great majority of Sedation cases (88.0 %). Our analysis of procedural sedation based on anesthesia-related adverse events compiled in the national database revealed a high severity of patient injury similar to that due to general anesthesia. Most procedural sedations were shown to be poorly controlled without adequate pre-procedural patient evaluation or intraoperative monitoring. Thus, it is essential to establish proper practical guidelines for procedural sedation and ensure strict adherence to these guidelines, especially during the NAAP. American Society of Anesthesiology. 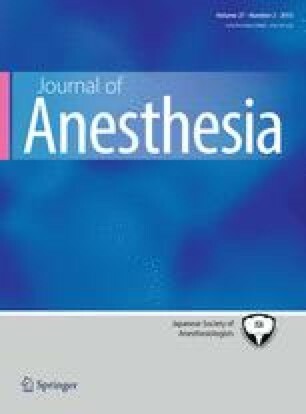 Distinguishing monitored anesthesia care (“MAC”) from moderate sedation/analgesia (conscious sedation). Available at: http://www.asahq.org/For-Members/Standards-Guidelines-and-Statements.aspx. Accessed 4 Sept 2012.